Antimicrobial Protection : Protects against bacterial and fungal infections as well as preventing infection of blisters and abrasions. Inverted Toe Seam : Creates a seam-free feel which is not only comfortable, but is also important to Diabetics. With the inverted toe seam, there is no risk of blistering which could potentially cause an infection in the foot. This simple design change can cause an enormous change in your circulation and overall foot health. 93% Cotton Content : Cotton is one of nature’s unsung miracles. Quite simply, no man-made fiber provides both the elasticity and comfort of cotton. 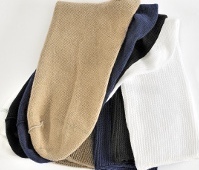 Our socks feature 93% cotton content providing comfort and circulatory support for people with large calves. Today perhaps we are the only company in India exporting Diabetic socks in large quantity to U.S.A and Canada. Our Brand Health stride is the leading.brand in these countries. 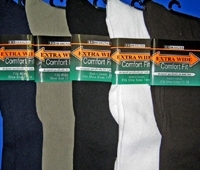 The largest "Big and Tall" chain in U.S is one amongst the largest importer of our socks. We sincerely believe that only quality excels and nothing else. Our high quality socks is our bench mark and thats why we have so many satisfied customers globally. 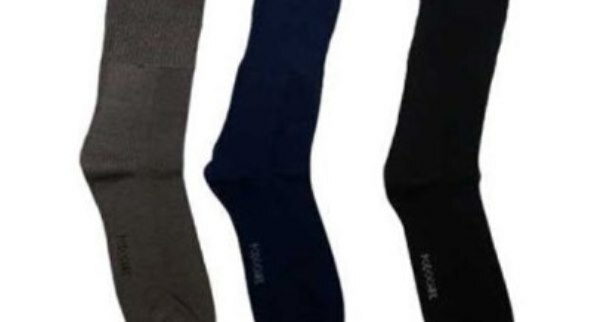 Our Diabetic Socks : Our Diabetic sock is a non-binding sock which is designed for those who need or want a sock that does not constrict the foot or leg. 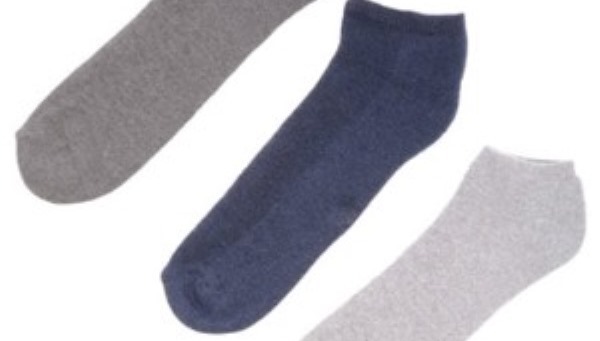 Typically sufferers of diabetes are the most common audience for this type of sock. Diabetes raises the blood sugar level, which can increase the risk of foot ulcers. 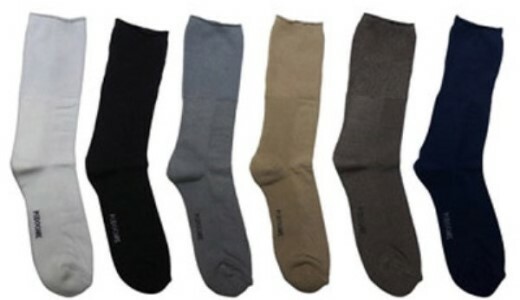 Diabetic socks are made to be unrestrictive of circulation. They also control moisture, which can reduce the risk of infection. 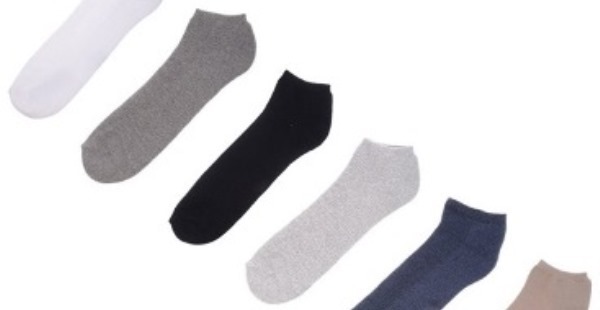 Another beneficial feature of diabetic socks is seamless toe-closures to reduce pressure and blistering.